Deep in West Texas, in the heart of the Franklin Mountains just north of El Paso, conservationists have been fighting to protect a 7,000-acre swath of land for decades. 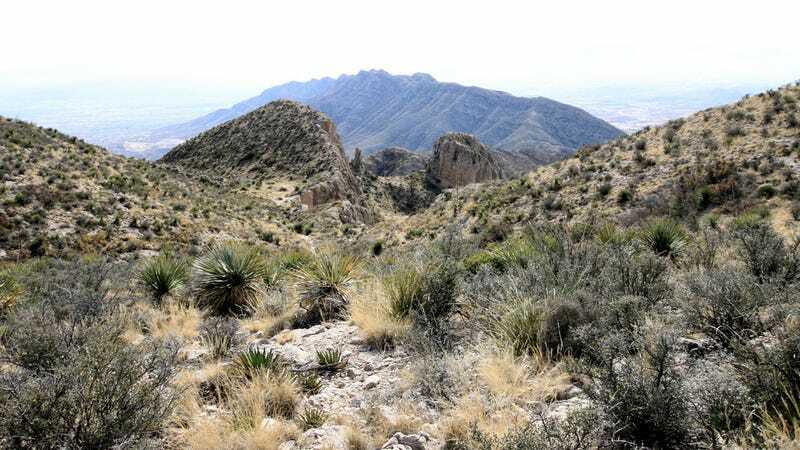 Now, thanks to Congressman Beto O’Rourke (D-TX), the Castner Range is one giant step closer to being off limits to development—and the final hurdle, the stroke of President Trump’s pen, might actually be surmountable. At a moment when the Trump administration and GOP-led state governments are dead set on rolling back environmental protections, especially on federal lands in the West, this is a rare development in the other direction. As a congressman, O’Rourke fought hard to get Castner Range, best known for its fields of yellow poppies that are part of a fragile Chihuahuan Desert ecosystem, designated as a national monument by former President Obama. While efforts proceeded all the way to Obama’s final days in office, without the designation a new approach was needed under Trump, who seems more interested in shrinking national monuments than creating new ones. That’s why this week, when the House passed O’Rourke’s provision protecting the range as part of this year’s $700 billion National Defense Authorization Act (NDAA) by a bipartisan 356-to-70 vote, O’Rourke was so enthused. According to O’Rourke’s post, the NDAA along with the Castner Range provision, Section 2846, is supposed to pass the Senate before the end of the year, where it will then head to the president’s desk to (likely) be signed into law. Luke Metzger, Director of Environment Texas, told Earther that O’Rourke’s amendment is a critical step to protecting the area. Local lawmakers have been pursuing protections for the mountainous landscape, which was formerly a U.S. Army artillery range, for decades. Ron Coleman, who represented El Paso in the U.S. House of Representatives from 1983 to 1997, came out of the woodwork to push Obama on the national monument designation last year, emphasizing its importance as an urban outdoors space along with other nearby public lands like Franklin Mountains State Park. Elizabeth Doyel, Executive director of the Texas League of Conservation Voters, recently said that development of the Castner Range is a constant threat. The designation could also play a bigger political role down the road, as O’Rourke is seen as Senator Ted Cruz’s (R-TX) main threat to reelection in 2018. Senator Cruz appears to have not spoken publicly about Castner Range, but he was a strict opponent of Obama’s use of the Antiquities Act to create national monuments, and supports reforms to the act to make such designations more difficult.